AUSTIN, Texas. [November 4, 2018] — After a difficult three rounds of Trans Am Series presented by Pirelli competition, points leader Ernie Francis, Jr., and the No. 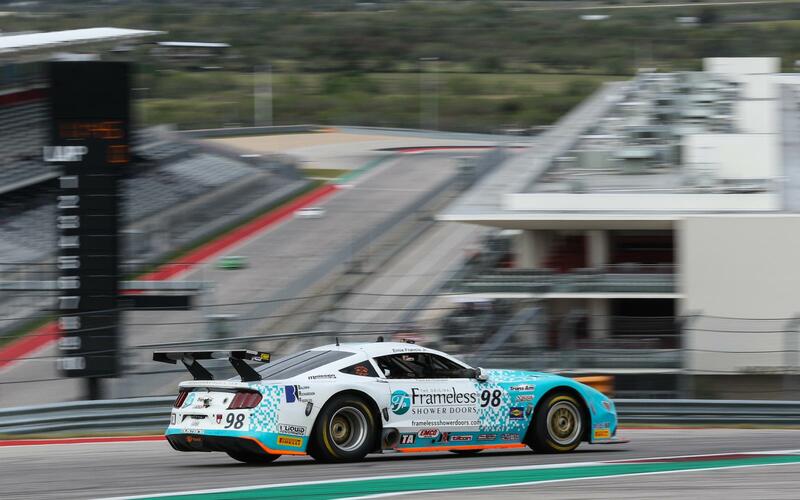 98 Frameless Shower Doors Ford Mustang returned to the top step of the TA class podium in the COTA Trans Am 100 and Circuit of The Americas (COTA). 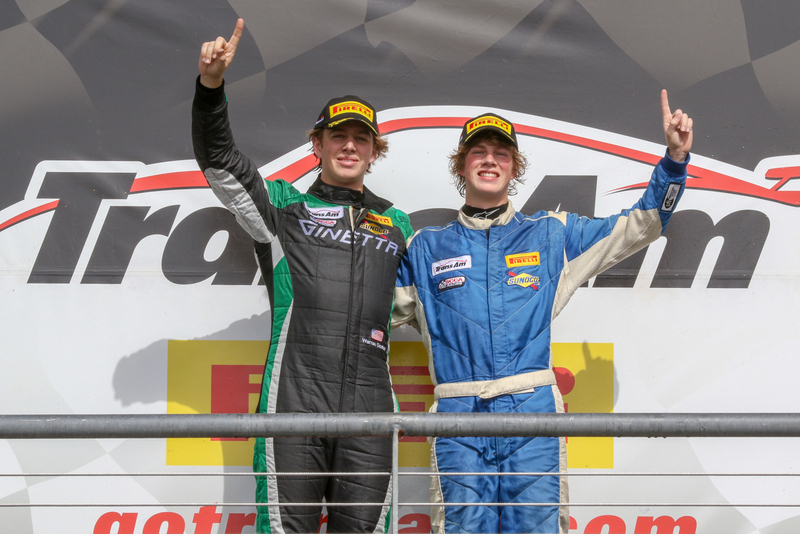 Brothers Ryan and Warren Dexter also claimed Trans Am victories in the the TA3 and TA4 classes, respectively. Previously in the weekend, the Trans Am Series held the COTA Muscle Car Challenge, an equidistant competition, that saw Gar Robinson victorious. Full details and results of the contest can be found at gotransam.com. Trans Am featured on the Circuit of The Americas weekend alongside the Sportscar Vintage Racing Association holding the US Vintage Racing National Championship. Fans can keep up with the Trans Am Series presented by Pirelli at www.gotransam.com.